An ally of Congolese President Joseph Kabila has been freed from a radio station where he was trapped by soldiers loyal to the president's rival. 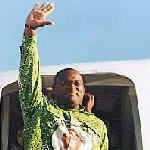 United Nations peacekeepers freed Francois Mobutu Nzanga from his makeshift prison in the northern town of Gbadolite Friday. 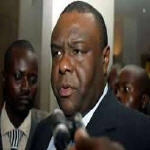 Congolese Vice-President Jean-Pierre Bemba has said he will not return to war if he loses in a free and fair second-round presidential poll due on Sunday. 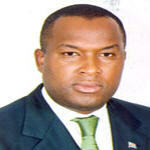 "I will accept the decision of the ballot," he said on Thursday in the capital, Kinshasa. A live televised debate was supposed to take place Thursday night between the two candidates in the Democratic Republic of Congo's October 29, post-war election. But, instead, Congolese are expressing disappointment and the rival political camps are trading accusations, after the debate's cancellation. A debate between the two presidential candidates in the Democratic Republic of Congo has been cancelled ahead of this Sunday's final round vote. 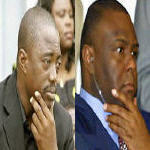 Incumbent President Joseph Kabila and his challenger Jean-Pierre Bemba failed to agree on the terms of the debate. 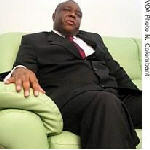 As many as 14 prisoners sentenced in the 2001 assassination of former Congolese President Laurent Kabila have escaped from a Kinshasa jail.